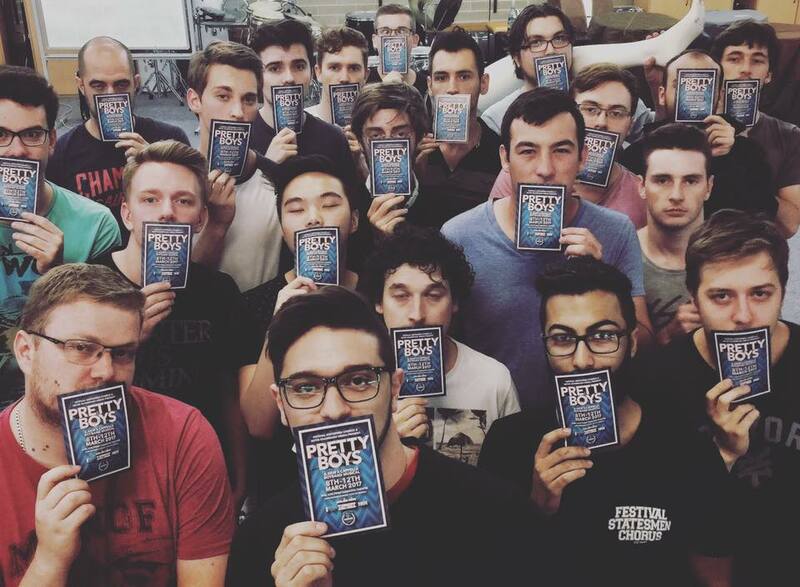 Deke Sharon to run Sydney A Capella Festival in September! The Sydney 2017 Pan-Pac Convention is to be held in the International Convention Centre, Darling Harbour from Wednesday 27 September 2017 to Sunday lunchtime 1 October 2017. This will be immediately followed by Harmony University at Naamaroo Conference Centre, Lane Cove from Sunday afternoon 1 October 2017 to Wednesday 4 October 2017. This promises to be one of the most exciting Barbershop Conventions and Harmony Universities ever held in the region. Aside from the anticipated high level of performances and the rare fellowship opportunities it will provide, highlights will also include the amazing, just completed, performance venue and the exciting Darling Harbour precinct surrounding the centre. In addition to the Pan-Pac competition, both BHA and BHNZ will be concurrently holding their respective National Competitions including Australian and New Zealand open, seniors, mixed and youth barbershop choruses and quartets all sharing the one stage in a series of integrated competitions promising to be the most inclusive convention ever. The Harmony University at the nearby Sydney suburb of Lane Cove (a short drive of around 30 minutes from the Convention Centre) will offer a once in a lifetime opportunity to get up close and personal with a faculty of top Barbershop educators . The Convention website and registration information will be up and running within the next few weeks. Definitely a Convention and Harmony University not to be missed! Recently the BHA National Council (the “Council”) met for its annual face to face meeting, this time in Adelaide, so that the facilities for the 2018 Convention could be inspected. All Councillors attended and a wide ranging discussion was had. Key points are listed below. The Council encourages comments and input from members on any of the topics discussed, or even not discussed. Please contact the Secretary with your input. WHAT is Barbershop Harmony Australia? We are an association of barbershop clubs in Australia. 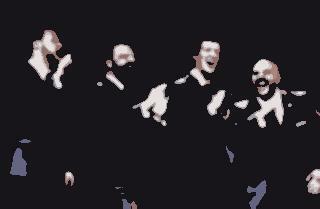 We act together to promote barbershop singing and share camaraderie. We gather together annually for conventions and contests. HOW can we most effectively promote BHA? We will emphasize mutually respectful relationships across BHA. We will build links with individual clubs. We will promote members’ pride in belonging to BHA. We will celebrate the successes of BHA. We will provide tools and resources, within a limited budget, to support barbershop development. We will make support for club musical leadership teams our highest priority. We will expect local clubs to take responsibility for coordinating and facilitating local recruiting, marketing, and retention programs. The key outcome from all of this is that the Club is our most important conduit to new members and communication with members. Our chorus music directors are incredibly important, not only in guiding our music, but attracting and retaining members. We then discussed initiatives in the various portfolios. The Secretary noted that he mostly receives communications from Clubs and members regarding renewal of membership and re-registration of quartets etc. There seems to be a lack of understanding of the process involved (although the forms are all on the BHA website). One possible cause could be the annual turn-over of Club Secretaries, with the incoming person not familiar with the process, and not receiving guidance from the outgoing Secretary. Quartets too, do not seem to understand the need to re-register each year. Members, Clubs and quartets who do not re-register are not covered for insurance or performing rights, and are not eligible to participate in BHA affairs, including contests. Re-registering with BHA every year is essential. The other issue we considered were the dates of the membership year. Currently these are 1 October to 30 September, but most Clubs operate on an annual basis, so a calendar year would make more sense. Under Membership we considered communication issues that seem to continue. Despite Council’s best efforts, via this newsletter, it seems many of our members do not bother to read it. It potentially leads to a misunderstanding of what your Council does for you. While we occasionally undertake surveys of members to get feedback, we now also plan to undertake a process whereby each Councillor will contact three or four Clubs to discuss your issues and your ideas. That will roll out sometime in the next month or two. We also want to help Clubs with access to contemporary repertoire, assist those Clubs who feel they have inadequate structures and processes for promoting membership, and we want to encourage clubs to help each other more. Marketing is all about communication, with Clubs and with the public. Some of you will have noticed the new format for our bi-monthly newsletter, In Harmony. Apparently the format has not suited everyone, but we do feel it has been well received by the majority of members. A regular monthly newsletter, similar to BHS’s Livewire, will be issued with dates, reminders, and ad hoc communications. The newsletter will have an interesting and vibrant style. In Harmony will now be published quarterly rather than bi-monthly. It will be a “feel good” publication that promotes the barbershop culture. It will include information/ club material, reports from VPs etc. We will investigate improving the design of the publication. We are also getting very active on social media, but a number of “unofficial” Facebook pages have sprung up, all representing BHA, and these need to be amalgamated into the one page. We will also undertake an upgrade of our BHA website to make it more user-friendly. HarmonySite continues to be an excellent platform for our Clubs, especially since it shares information with the BHA website, therefore minimising Club secretarial work in maintaining membership records. BHA continues to support and recommend HarmonySite to Clubs. Another marketing issue discussed was building our archive and promoting our brand through media such as YouTube. BHS is now doing this very successfully. Many of our early Conventions were recorded on video, so these will be digitised and displayed on BHA’s own YouTube channel. Finally, our external communications need to have pertinent messages that describe who we are and what we do. 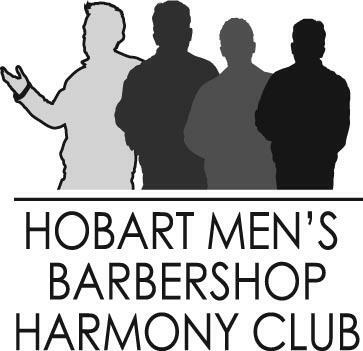 The Council brainstormed some ideas on this, including: “fun, changing men’s singing culture, inclusiveness, men’s health benefits, contemporary music, inspiring music, benefits of barbershop in every school, Australia’s most recognizable music/vocal organisation, it’s cool to be a barbershopper”. If you have any ideas to add, please send them through! In the Events portfolio, we are very squarely focussed on the forthcoming Pan Pac Convention and Harmony University in Sydney in September. 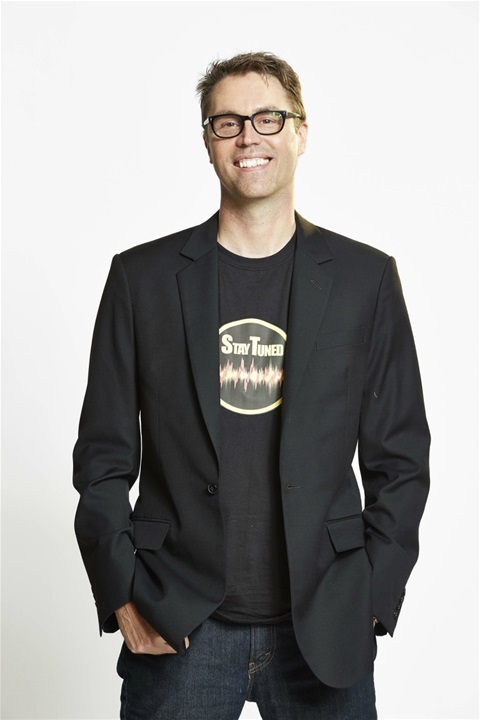 The Convention will be preceded by two days of workshops with Deke Sharon, the “father” of modern a cappella singing. These workshops will be open and free to all BHA Youth members. BHA full members can purchase tickets for the two days for $50. There are many hotels in the Darling Harbour district of Sydney and a list of these can be found here www.darlingharbour.com/stay/. The “headquarters” hotel will be the Oaks Goldsborough. Our Welcome Gala event is included in registration, and will be held at the fabulous Doltone House, a short 10 minute walk from the ICCS. At this stage only delegates and partner delegates will be able to attend the Welcome Gala. There may be separate ticketing available later, but that will depend on delegate numbers. After Sydney, our next Conventions will be Adelaide (2018) and Hobart (2019). The next Pan Pac will be in Auckland in 2020. The Council continues to be concerned about the Regional Contest weekends being held. Some involve an educational component but others do not. Providing the judges for these events is a major item in our annual budget, and these educators have agreed to be available for educational workshops. It is clearly the best use of member’s funds if an educational event is attached. A review of the current regional structure is planned to determine if it is the most sensible and efficient way to run these events, and the local affairs of BHA in the regions. In the Contest area, we voted to bring us into accord with the other world Affiliates by changing the rule for mixed quartets from a two and two (“2 + 2”) male/female mix to a three and one (“3 + 1”) male/female mix. This will allow our BHNZ contestants to join in the Pan Pac mixed quartet contest. We will review this rule for National contests in 2018 and 2019 after the Pan Pac contest. Rules of mixed choruses (i.e. 60/40) will still apply. Our triennial judge training school will take place in Sydney from Sunday 24 to Tuesday 26 September. This school re-trains and certifies our existing judges as well as new candidates who have been in training programs for a year or more. Participation is by invitation only. Contact the Chairman of Judges for more information. We continue to have great aspirations in the Music education portfolio. Last year we offered some scholarships to Harmony College, and these will continue. We will re-brand our college as Harmony University, and offer five (5) scholarships (worth $340 each) to members to attend. We are also offering five (5) Harmony University scholarships (worth $340 each) to school music teachers who undertake to use barbershop music as part of their school learning program. Application forms will soon be available on the BHA website. A new initiative to be brought in this year will be the establishment of a National Education faculty (NEF), who will undertake annual visits to Clubs. These coaches will be trained to support clubs with coaching, management structure matters, etc., and will report back to Council on Club status so that further assistance can be planned if necessary. Our aim is that every Club will receive an annual visit at no cost except for the provision of local transport and billet accommodation. This is a similar program to that run by the Sweet Adelines. The Deke Sharon workshops will undoubtedly be the highlight of the Youth Development program this year. Many of you will have heard of Deke. He is regarded as the leader of modern a cappella music, but he is also an honorary life member of the Barbershop Harmony Society. The workshops will run in Sydney on Tuesday 26 and Wednesday 27 September. Entry and participation will be free to all Youth members as part of their Convention registration. BHA members >25 years old can attend and observe with a day ticket for $30, or a two day ticket for $50. It will be an event not to be missed! We are also looking at other opportunities to promote barbershop singing in schools with attendance at the annual Australian Society of Music Educators conference in July planned. We are also planning to contact every school in the Sydney area to promote the Deke Sharon workshops and barbershop in general. Over the next year or two, we hope to roll that school contact out to every school in Australia. But we need help with this. 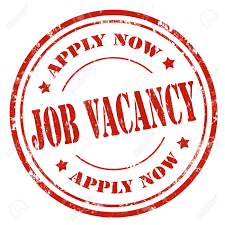 If you have some time (you don’t have to be a Youth member) to help us compile lists of music teachers, please contact the VP Youth Development. As far as Finances and Treasury goes, we are now back on our feet after our “near death” experience following the Perth Convention. We certainly hope that never happens again, and that Eastern states members will support a Convention in Perth from time to time, just as our Western state members continually support conventions in the Eastern states. We have approved significant budgets for music education, youth development, marketing, membership and contest and judging. At this stage the Council considers these programs are an efficient and beneficial use of members’ funds replacing the previous regional subsidies that were paid. Running Conventions is a significant financial risk to BHA and members’ support is necessary if these are to continue to be viable. So a very successful annual face to face meeting was held. If you have any questions please contact the Secretary who will direct the question to the appropriate Council member. We are excited to bring the internationally renowned musical genius Deke Sharon to Sydney, Australia on Tuesday 26 & Wednesday 27 September 2017 for the Sydney A Cappella Festival. Deke Sharon is the musical director of Pitch Perfect 1, 2 & 3 and The Social Network. The world's most prolific a cappella arranger, with over 2000 songs to his credit, he has also produced television's The Sing Off worldwide (US, Holland, China, South Africa). Don’t miss this once in a lifetime chance to work with the man responsible for the current sound of modern a cappella – keep in touch at www.ysihau.com. Learn more about Deke at www.dekesharon.com. Over the last two or three years, it has become the responsibility of each club to update its details in the BHA database. This has cut administrative costs. At the beginning of the new year, each club is asked to please take the time to update its contact details, office bearers, member email, address, phone number, emergency details, etc. Many clubs, for example, will have recently conducted an AGM. Ensure either (a) your club uses HarmonySite (www.harmonysite.com) to manage itself and its members, or (b) you have nominated at least one member of your club to be responsible for maintaining current club and member information on the BHA website. If you do not have either of these options in place, please contact Mark Virtue, our Webmaster, on 0411 170517, or webmaster@barbershop.org.au. 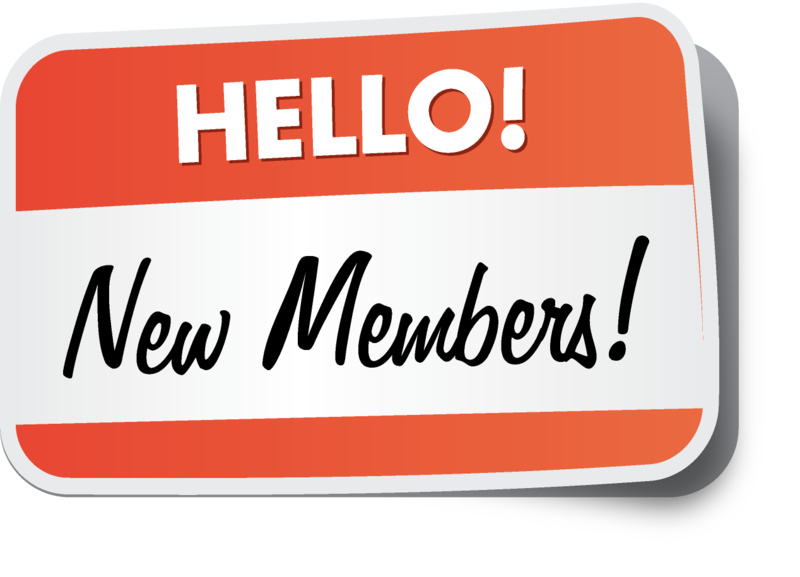 Member email, address, phone number, emergency details, etc. If you do not know how to update these details, please contact Mark Virtue (details above). Thank you for your assistance in completing this task. With regional contests approaching, all quartets intending to compete will need to be registered or re-registered with BHA. At the moment, only 22 quartets are registered across our six regions. MR BARBERSHOP HARMONY AUSTRALIA, Linc Abbott, passed away on Monday, February 27, 2017. 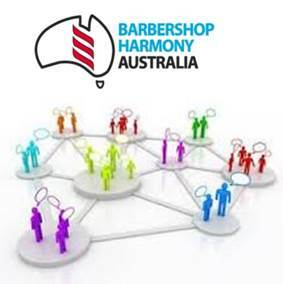 Many long standing barbershoppers called Linc this name because of the massive contribution he made to the introduction, expansion and development of the barbershop harmony movement during the first 25 years of barbershop harmony here in Australia. 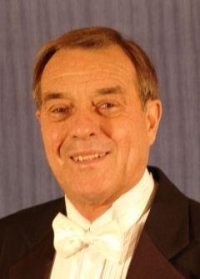 Linc came to Australia with his family in 1972 and brought significant experience in barbershop harmony obtained in Maine, USA where he began as a chorus member and quickly became the musical director of the DOWNEASTERS CHORUS located in Yarmouth, Maine. When Linc came to the Gold Coast, Queensland he quickly organized a barbershop quartet named DREAMWORLD QUARTET and it became very popular roaming and entertaining the crowds at the DREAM WORLD Amusement Park on the Gold Coast. The popularity of this quartet led to his organizing the BANANA BLENDERS BARBERSHOP CHORUS which he directed for many years and led in entertaining audiences throughout Australia and to numerous medal performances. About 1995 Linc moved to Musical Director of the RIVER CITY CLIPPERS BARBERSHOP CHORUS and lifted them to medal contention. Linc was made a LIFE MEMBER by each of these choruses for his significant musical leadership to good barbershop harmony and fellowship. 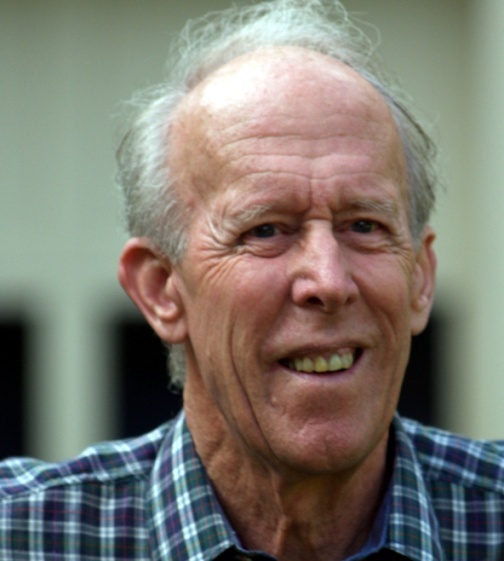 Linc freely coached many of the developing choruses during the period 1990-2008 period. He was the Dean of the first weekend Harmony College held in Bathurst, NSW in 1987. 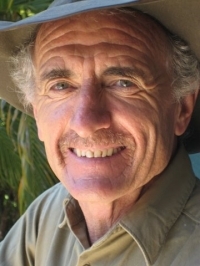 He was Associate Dean at the first Australian Harmony College held on the Sunshine Coast in April 1994 (Mel Knight of SPEBSQSA was the Dean). He was a prodigious arranger of popular songs in the four part barbershop harmony style many of which such as ADVANCE AUSTRALIA FAIR, I STILL CALL AUSTRALIA HOME, WALTZING MATILDA, and MY COUNTRY we all sing regularly. He was made a LIFE MEMBER of the Association of Men Barbershop Singers/Barbershop Harmony Australia in 1998 in recognition of his massive contribution to the introduction and development of barbershop harmony in Australia. Yes, Linc Abbott was a major mover and shaker of good barbershop harmony during most of his life. We will all miss his great musical direction and remember in harmony his deep bass voice always encouraging us to blend, balance and enjoy barbershop harmony at its best. On Friday afternoon 24 February 2017, over sixty barbershoppers from throughout the Eastern Region wended their various ways to the Myuna Bay Sports and Recreation Complex on the shores of the beautiful Lake Macquarie, 90 minutes drive north of Sydney. They were all heading, with great anticipation, to the 2017 BHA Eastern Region Harmony College organised by the ER Council. This workshop was the latest in a long series of similar annual events which first started way back in the early nineties. 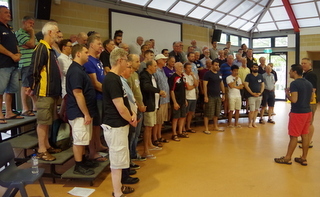 The sixty plus delegates were drawn from almost every Chorus in the Region including; Soundwaves, Novatones, Hills Harmony, Sydney Harmony, Penrith Harmony and Canberra Chordsmen. Special Mention should also go to Sydney based youth chorus, Vox Canvas who attended with virtually all their members and to our newest Chorus, South Lakes Harmony, who attended with their entire membership of eight enthusiastic "non-youth" barbershoppers including long time MC extrordinairre Bob Fritz who showed us that he still had it by expertly MC'ing the Showcase on Saturday Night. The faculty comprised highly experienced and personable Kiwi educator, Jill Rogers together with the guys from medal winning quartet, Cataylst including the very talented Rob Sequeira (who had the unique experience of coaching his dad, Malcolm who was one of the delegates) , the dynamic Jonathan Bligh, David Reid, one of the most unassuming (not!) and talented basses around and, lastly, but not least, the inimitable Richard Reeve. The program ran from Friday evening through to midday Sunday with a great mix of work and fun. The late night (read early morning) afterglow sessions were, as always, a feature and continued to develop the fantastic camararderie existing amongst the eight choruses represented. The highlight was the Saturday night showcase where we had the opportunity to perform in front of our peers as well as a paying audience at the Wangi Wangi RSL Club. 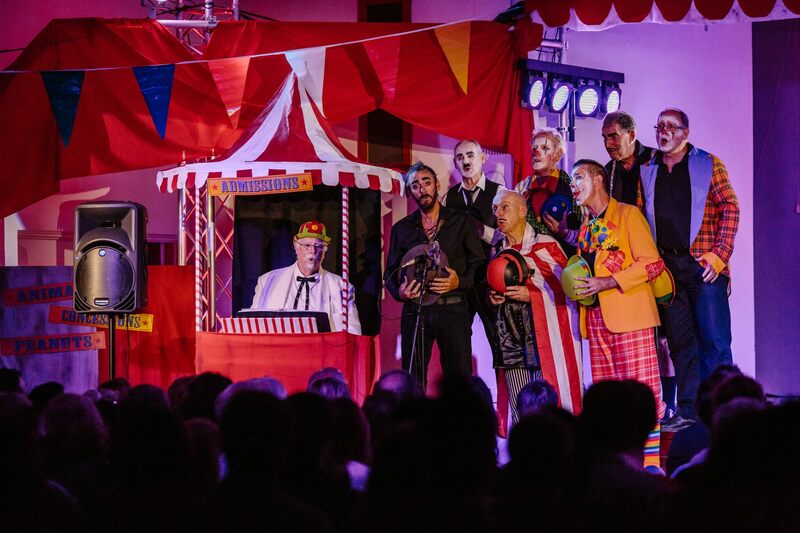 The show included a very creditable performance by the combined singers, masterfully conducted by Rob Sequeira, performing the new song we had all learnt from scratch during the weekend "The way we were". Special mention must go to the guys from Soundwaves and Novatones who provided most of the manpower and organisation and, in particular, Stuart Adey and his wife Beth who provided virtually all the catering for the weekend enabling the overall cost to be kept extremely low. Well done and thank you Stuart and Beth. Eastern Region President, Brian Bleakley, confirmed during his wrap up, that we would be back again around the same time next year. A group of expatriates located on the Indonesian Island of Batam, a rapidly growing city of around 1.5 million people just 12 miles and an hour by modern fast ferry from Singapore, is looking for an MD. We are seeking a confident, energetic and competent musical director with a true spirit of adventure to create a chorus presence from scratch in a musical desert littered with talent and latent enthusiasm but devoid of inspiration and leadership. And if that’s not sufficient challenge, you also need to know that we cannot pay a salary! But, we will provide accommodation and as we develop a chorus presence we would expect to generate modest income from memberships and sponsorships. Be aware also that Batam is an ideal place from which to inexpensively explore the fascinating Indonesian archipelago and the countries of South-east Asia. You probably will be a self-funded retiree, single and preferably with some knowledge, experience of or interest in Asia and the cultures of South-east Asia. You probably will have a background in barbershop or male or mixed choruses but also have an interest in other genres like Doo Wop (with instrumental backing) and a cappella gospel. The challenge will be to develop male, female, mixed and children’s choruses and inspire and support the development of quartettes or other small break-out groups. Batam has a sizeable and growing expat community, a surprising number of whom are interested in music and singing. But the really rich opportunity lies in introducing choral singing to members of the Indonesian community. It’s an opportunity for an aspiring and committed musical leader to create and launch something new and potentially very special. 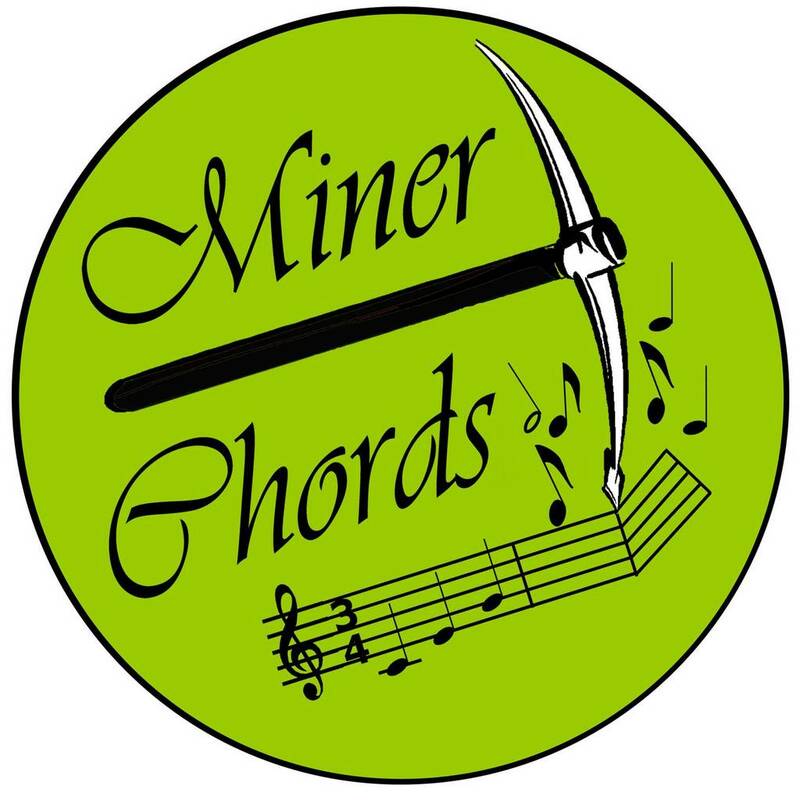 Expressions of interest are sought for the position of Music Director of the Miner Chords who are based in Ipswich, Queensland. Gold Medal lead singer from 2014 International Champion Quartet Musical Island Boys, Marcellus Washburn has been busy spreading the joy of music since his move to Melbourne from New Zealand. 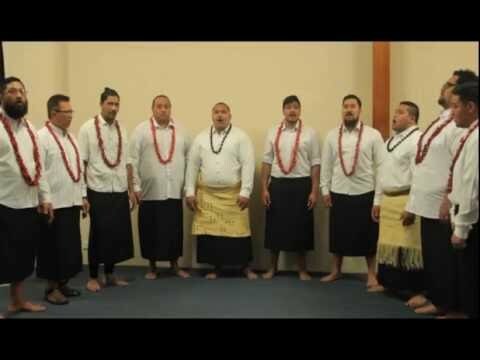 Marcellus directs a small a capella group, the Melbourne Pasefika Mens Choir, a platform for Polynesian male singers that has proven popular since its formation in August 2016. "The lads that I currently work with have never participated in an a capella choir, and a lot of them have never had music or singing lessons, so this is an exciting and challenging opportunity for them. My vision is to have a competing Polynesian choir by 2018, so hopefully 2017 will give us a chance to establish ourselves and learn more about the barbershop art form". With a talent like Marcellus at the helm, we are sure they've got lots of exciting and rewarding gigs in store, and we wish them the best of luck! Here we are, back in to it with a vengeance. We have got the competition songs uploaded and are working well in most aspects of them. Well, that’s what the MD said the other night. We started the year with a couple of losses due to the younger lads graduating high school and moving on, or commencing Year 12 and having more on their plate than they would ever have imagined. Next weekend we willl be singing for the public at Summer Tunes. A venture of Toowoomba Region to bring a bit of joy to the public experiencing our beautiful parks. This is the third or fourth time we have participated and it is always great fun. With luck we could pick up a couple of new members. Hope springs eternal. As related in our last item we have had major changes to our rehearsal venue. Ripped up the carpets, pulled out all the curtains over the glass wall and opened up the stage area. Looks great. But, pingy! We don’t know whether we sound great, or awesome. Mike L, our MD has had us go out and sing in the grassed courtyard to add a bit of reality to our singing and it surely brings one back to earth with a thud. We sang at Oakey for Australia Day. A township about 20 kilometres west of here. One of our members is the Community Liasion Officer there and was the mover and shaker for the whole day. We had a beaut time and the Welcome To Country by a mature Aboriginal lady was most moving. She epitomised all that is great about her ancient race. Graceful, dignified and very welcoming. Pity a lot of people from other parts of Australia couldn’t have attended and heard her. Next big thing? Sunshine Regionals. We’re now in the. “Let’s get this sucker sorted", phase. My Name is Thomas McNamara I am a member of High Altitude Harmony in Toowoomba Qld Australia we have had a wonderful year in 2016. Which included concerts in our University of Southern Queensland, fundraisers at Bunning's Warehouse and of Course the final show of the year The HAH Singing Restaurant. Its been a lovely year and we look forward to continuing in 2017. We even got a international coach to come and teach us some new styles that will be on display at Regionals 2017. We look forward to continuing the barbershop tradition and of course anyone is welcome to join in. Looking forward to seeing you at the Sydney Convention in 2017. Our chorus is very excited to have Gary Taylor as our new MD, at least for a trial period to determine whether he can commit, or whether we are worth the risk to his well earned reputation! Gary comes from New Zealand and has had great experience over there with quartets and choruses. Now living in Australia, he is proving that his love of Barbershop remains still a very driving force. We have made an enthusiastic start to the new year and hope all works out for everyone. While we welcome Gary, we also acknowledge the enthusiasm and great technical skills that Ricky Allen brought to the chorus during his couple of years as MD. Fortunately, Ricky will remain as a singer but work and study commitments, as well as an upcoming marriage, made the added MD role just too much of a commitment at this stage. Penrith Harmony are lucky to have talented members who can step into the MD role to cover unavailabilities. Over the Christmas singouts we were variously led by Ricky, Peter Fragar, John Livingston, Richard Wadick and Russell Davies. The Christmas period provided many singing opportunities, including Penrith Homemakers shopping centre on Thursday nights and Saturday mornings, as well as performances at Penrith Panthers, and for the disability shoppers night at Big W, generally with enthusiastic audiences. 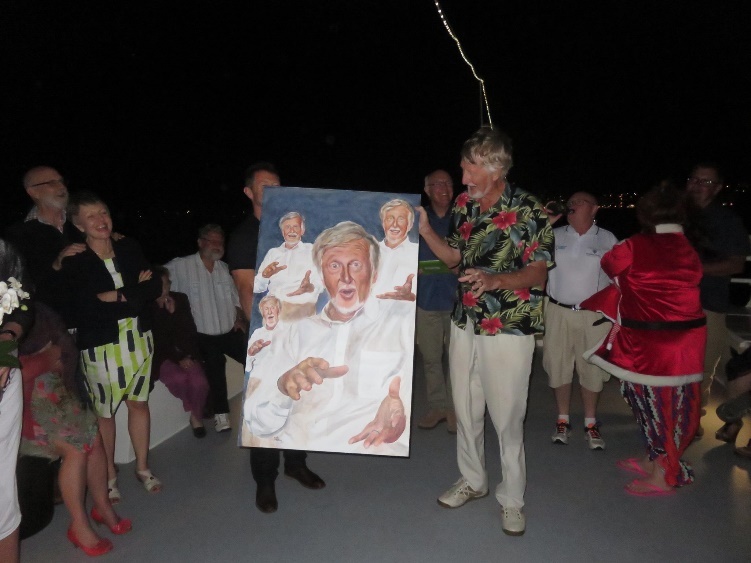 We say farewell to Geoff Simpson and wish him well. Geoff has moved up to Port Stephens but could prove to be a valuable recruit for the Newcastle Novatones. 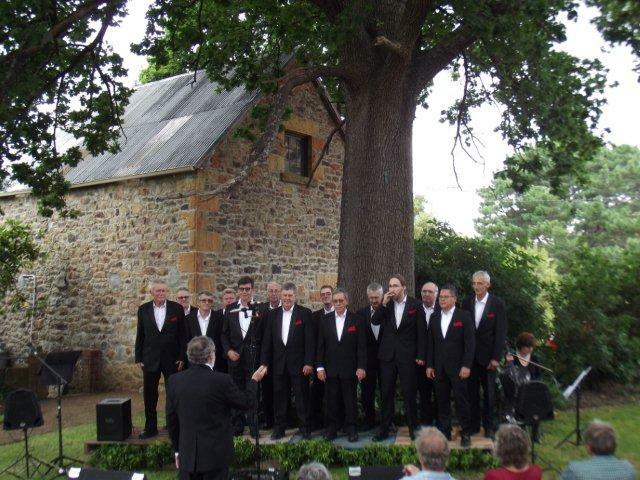 In late 2016, Hobart Men’s Barbershop Harmony Club was approached by Alwyn and Laurie Lewis who have recently taken up residence in Hobart, to participate in a celebration of the life and works of Louisa Anne Meredith, a Tasmanian resident back in the middle 18oo’s and a well-known Australian literary icon of the period. They were looking for a set of songs that would complement the early February event and a group to perform a song they had written as part of the celebration. Whilst their arrangement was in five parts and for a mixed choir, we agreed to do a quick re-arrangement to allow us to deliver in our favoured four part men’s barbershop style. The event captured our imagination and a willing group of Deep South and Silvertones members volunteered to come back from the Christmas break early to prepare. 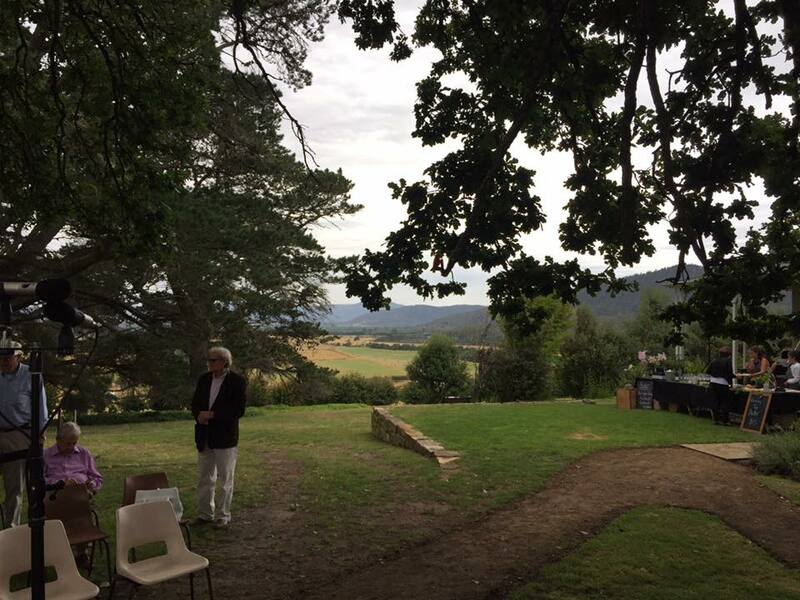 Under two magnificent oak trees, a stage of wooden pallets was set in this delightful venue, the heritage listed homestead of Louisa Anne’s former home near Buckland, on Tasmania’s East Coast. Well know Melbourne actor David Tredinnick read passages from Louisa Anne’s book, My Home In Tasmania (1852) accompanied by the haunting notes of Cellist Sarah Matthews. We performed a five song set within the sold out event, closing each of the morning and afternoon sessions, finishing with the newly arranged Tasmania, Our Home. The audience response was very positive and touched many deeply, with one woman confiding that we had brought her to tears on three occasions during the performance. Whilst in some ways a challenging outdoor venue, the use of some fold-back amplification assisted the group by providing some feedback to assist in blend and production. Richard Gardam, who acted as the MD for the project, did a terrific job with the new arrangement, preparations and performance. For the Chorus members, a great day out singing with mates and touching hearts in a unique experience. Who could ask for more! The Miner Chords have undergone quite a few challenges in the last few years but have managed to hang in. However, with numbers dropping below ten, we had to make some changes or risk extinction. Late last year our Musical Director moved a couple of hours away and couldn’t always make it to rehearsals. Our immediate past president had advised the club he would be away for most of 2017 and a couple of our more experienced members had also advised their unavailability. While our current situation is far from perfect, we have also had some further prospective members have a sing with us at rehearsal so it would appear we have the prospect of growing once again. To enhance this prospect even further the chorus has decided to open our books to women as well and we have already fielded some expressions of interest. Probably the biggest decision made and not one we have taken lightly was to declare the position of MD vacant and call for nominations in the hope that we will attract a person with energy and musical knowledge who can develop and grow alongside us as we progress through our future goals as a flexible performance chorus who can provide quartets and choruses of both mixed and single gender. Make sure you stay tuned because we have plenty more videos up our sleeve, and we have a lot of exciting news regarding tours and performances that we can’t wait to let you in on once the Fringe is done! A new year, a new logo and a new sound. The Blenders cane away from Newcastle encouraged by what we learned and ready to drive our sound to new heights. At the convention, our leadership released our new logo, which you can see here adjacent, and the chorus loved it. It has been heartily embraced as part of our culture of new. Barbershop may have been around a long time but it is constantly in renewal and the Blenders are no different with new image, new ideas, new music, new sounds, new rehearsal strategy, new events and new energy in the chorus. The music team is stepping up the pace and the chorus is responding with an awesome sound through the first three weeks of the new year. The leadership team wishes to acknowledge two great stalwarts of the Blenders over many years. Mark McCann on the right has recently retired from the choir due to health reasons and he will be sadly missed. Over 28 years Mark has sung different parts, contributed strongly to the leadership of the chorus and been involved with our quartets programs. Thank you Mark for all you have done for the chorus. We wish you well in the future and hope to have you back on the risers with us one day. Shown left, the other giant in recent Blenders history is our most recent past President Doug Goetze who has also held the role of VP Membership for the Blenders Chorus. Doug has the ability to snag and reel in new talent for the chorus that is truly awesome to behold and we are going to need a platoon to replace his solo efforts. Doug is taking a break and going to enjoy travelling with his family but we hope to have him on the risers with us whenever he is in town refuelling and restocking. Thanks Dougie. 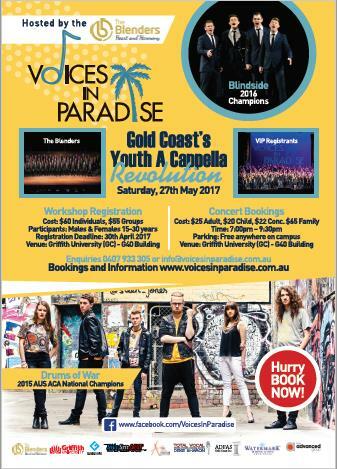 The Blenders will again host one of our favourite events, this year on May 27, with the fifth annual Voices in Paradise A Cappella Revolution. There is a changed teaching line up this year with the BHA champion 2016 quartet Blindside and the seriously good Drums of War from Melbourne locked in. We are so proud to host the event, grow the youth involvement in singing in our region and basically have a damn good time. If you have young people in the South East Queensland or Northern NSW region that you know would love it, check it out on line for registration. Jono, you’ve done it again. Bring it on, I can’t wait. On Sat, 29 Oct 2016 at The Sunnybank Performing Arts Centre, the Clippers performed at their 25th Annual concert. Benchmark, The St Laurence College Band and “The Wild Trio” assisted to present one of the best variety concerts we have held. Many past members, mostly now retired from BBShop, attended and enjoyed this variety of entertainment. The show included finger food beforehand, and a light supper at intermission. All members invited their families and friends and the afterglow brought together both current and long term supporters of the chorus. The concert preceded the Christmas rush of performances at many venues in support of community organisations and The Mater Hospital. 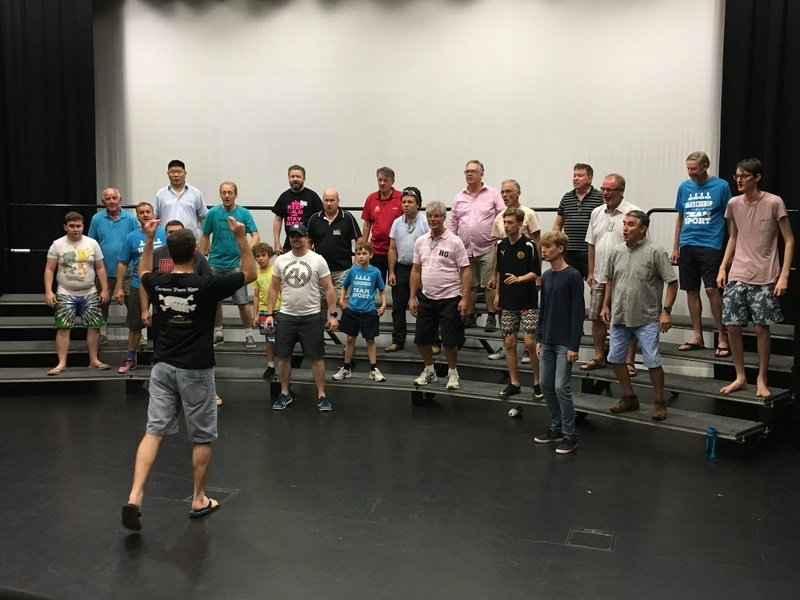 The chorus is in need of new members to increase our presence in the region and we look forward to working with other Sunshine Region Choruses to grow the strength of BHA throughout Queensland and Northern NSW. The end of 2016 was as busy as ever with multiple singouts, concerts and general spreading of good cheer. We joined with our sisters in harmony Vocalescence to present an end of year concert. The medley ‘This is My Wish/ Wonderful World’ was a great success. And now, after a well-earned rest, preparations are fully underway for our most challenging year yet – to represent BHA and Australia at internationals in Las Vegas in July. And to top this off we have also taken on the task of coordinating the Sunshine Region competition in April. Never a dull moment at Sound Connection. So 2017 is shaping up to be a big one for us, with additional full day rehearsals planned throughout the year to hone our skills, the mid-year show with Vocalescence in June, and as soon as we are back from Vegas it will be heads down in preparation for Pan Pacs. Did someone say this was a hobby? There is a Printable Version option at the head of the email distributing this Newsletter as well as with the Newsletter listed on the BHA Website under the Newsletter Heading. Previously it was necessary to print the Newsletter and the Club and Quartet News separately but since publishing this Newsletter in has been modified to now enable the whole Newsletter to be printed as a single document. Click on the following link to take you to this New single document format. 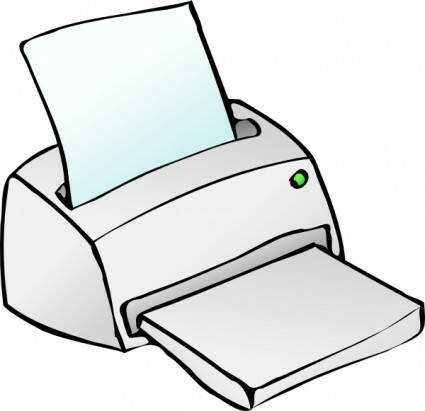 Just use your browser print function to print the document.